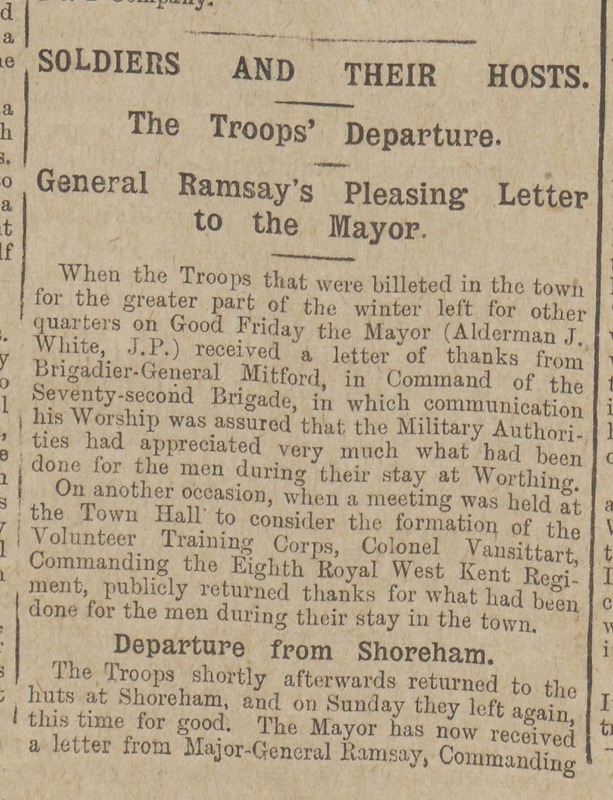 On This Day 1915: Soldiers thank Worthing for winter billets. 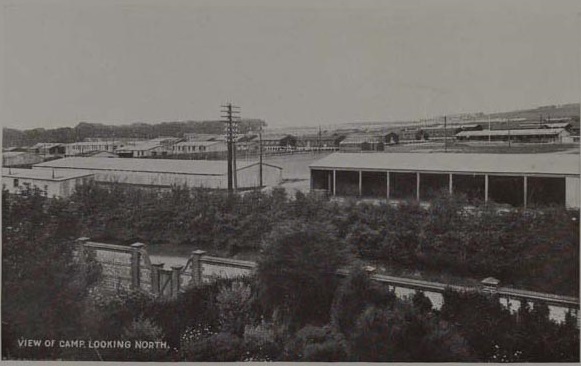 In spring 1915 soldiers returned to Shoreham camp from their winter billets in Worthing. They had been sent to live with the locals in Worthing, Shoreham and Brighton in December 1914 after bad weather washed away the tented Camp and they stayed there until the new hutted Camp was complete. 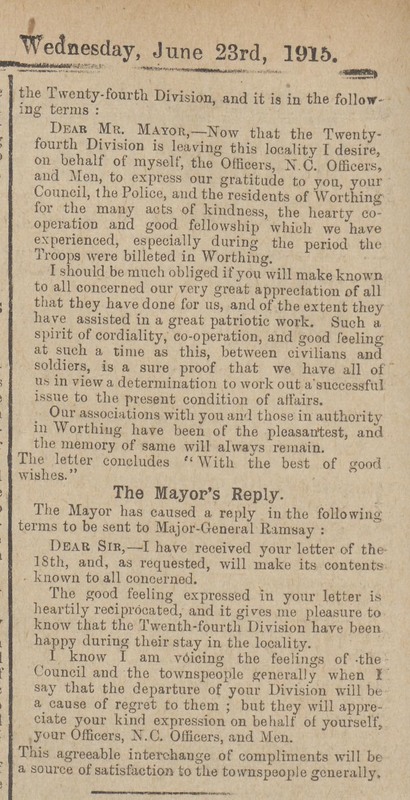 Soon after returning to the new huts Major-General Ramsay, Commanding officer of the 24th Division, sent a letter to the Mayor of Worthing thanking the Town Council, police and residents of Worthing for their kindness and the good fellowship they had shown the soldiers. View looking north across the new huts built for the Camp.